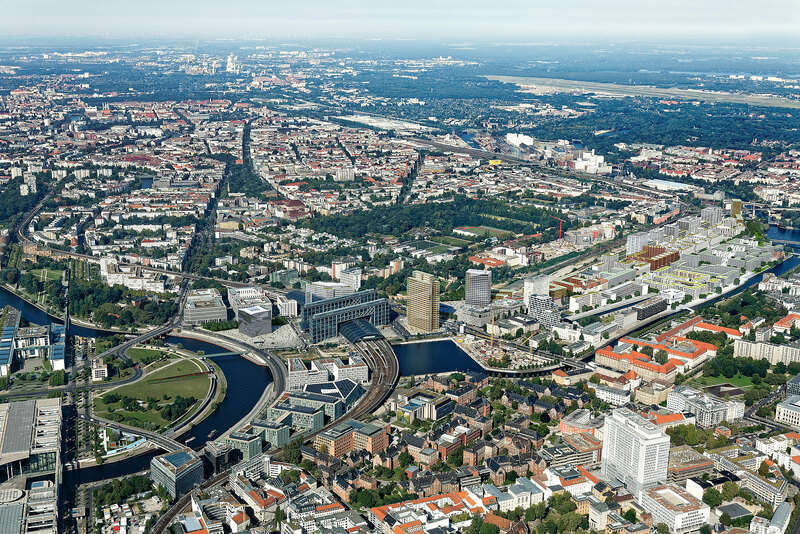 The Europacity project area, which spans some 60 hectares, links directly to Berlin’s main station. The southern gateway to the new urban district is formed by the River Spree at Washingtonplatz and the city’s main rail station; to the north, Europacity borders Perleberger Brücke, while railway tracks form the western edge and the Spandau Ship Canal constitutes the eastern extremity. Heidestrasse, which is currently undergoing expansion into an attractive boulevard as part of the urban development project, will be the main street running through the quarter. The main owners of the project site are CA Immo Deutschland (with around 20 hectares) and the state of Berlin (approximately six hectares). Deutsche Bahn has sold its part of the project site (around 10 hectares) to an investor. CA Immo has now attracted new investors for its parcel of land; these will implement structural engineering projects in the district, mostly on an owner-occupier basis. The aim of the development is to establish a thriving, mixed-use quarter of unmistakable, high quality urban space very close to the Charité university hospital, the seat of government, the main station and the Hamburger Bahnhof cultural facility. Berlin will gain a new centre with a distinctive urban cityscape, one that will deliver a long-term contribution to the city’s development thanks to new construction methods, technologies and urban living styles. The various functional areas – residential, work, culture and leisure – will combine to form a lively city district with Heidestrasse as its central thoroughfare. The area will be connected to its neighbouring districts by means of a pedestrian-friendly network of roads and attractive public spaces and green areas. The quarter also offers ideal links to the public transport system and road network. With the main rail station close by, regional and long-distance train connections are available along with fast links to the city’s airports. Europacity has expanded rapidly over the past few years. One multi-award-winning architectural high spot is TOUR TOTAL, the German headquarters of French oil company TOTAL completed by CA Immo north of the main station in 2012. In 2013, CA Immo completed the InterCity Hotel; other hotels constructed right by the station include the Meininger and Steigenberger hotels. CA Immo finalised two more office buildings in the summer of 2015: Monnet 4 and the John F. Kennedy Haus. Other investors signed up by CA Immo for developments in the quarter include Ernst Basler & Partner, TerraContor Immobilien, 50 Hertz and the Groth Group, which specialises in residential construction. 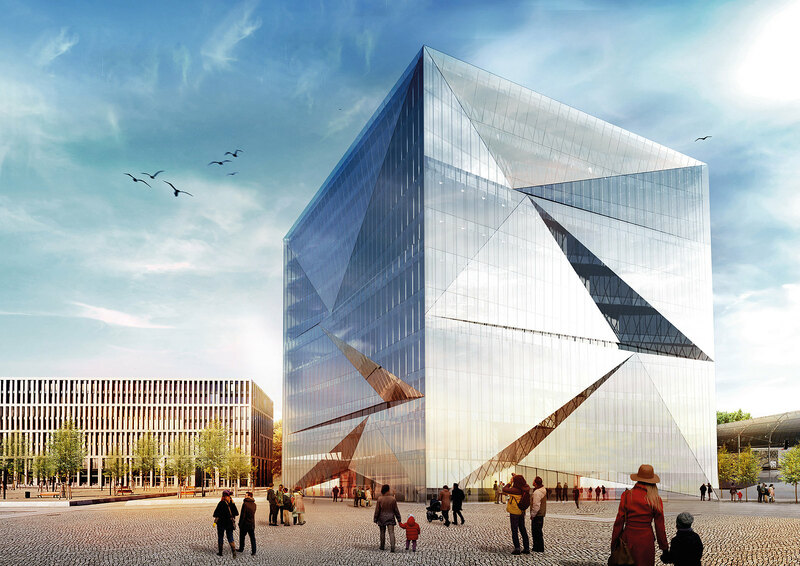 CA Immo is currently realizing several new developments: At the beginning of 2017, the building of cube berlin, an innovative and smart office building on Washingtonplatz, will be started. The building has already been sold to a large institutional funds manager. 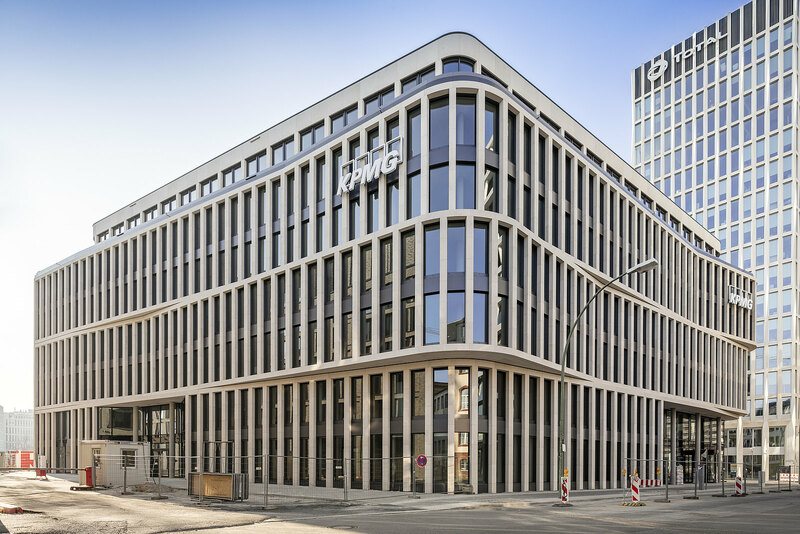 The auditing firm KPMG has concluded an exklusive lease agreement for an office building at Heidestrasse. ABDA Bundesvereiningung deutscher Apothekerverbände has already been leased 70 % of another office buidling at Heidestrasse. CA Immo also commenced construction work of the MY.B office building in 2017. Do you have any questions, or need more information on Europacity in Berlin? Simply contact us! Berlin-Mitte, between Rahel-Hirsch-Strasse to the south and Perleberger Brücke to the north.